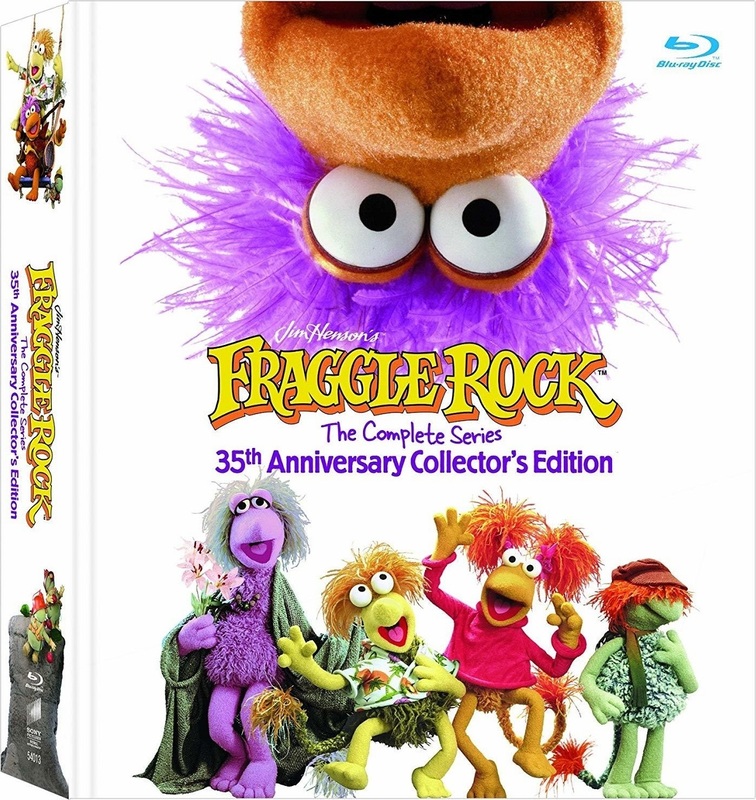 Fraggle Rock takes place outside the home of an avuncular inventor named Doc. Unbeknownst to anyone but Doc's dog Sprocket, a tiny civilization lives beneath the huge rock outside Doc's house. This is Fraggle Rock, home of the fun-loving Fraggles, the hardworking Doozers and the dictatorial Gorgs. All 96 episodes in the 12-disc set from the show's four seasons are FULLY REMASTERED IN HIGH-DEFINITION and presented with lossless audio on Blu-ray. This set is also available in special limited edition "scrapbook" packaging, featuring rare behind the scenes photos and an introduction from Uncle Travelling Matt.